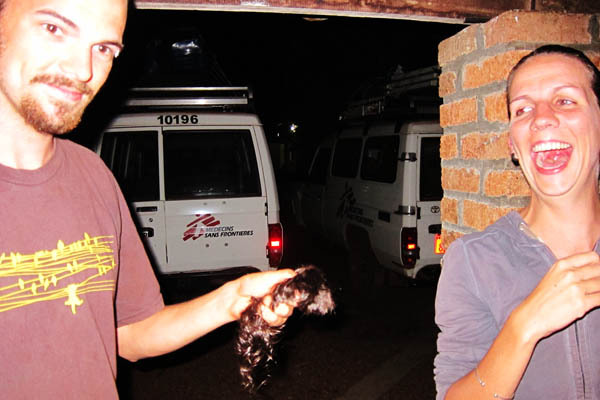 One cool evening in Dungu, Democratic Republic of Congo, a colleague asked me to cut her hair. I was flattered that someone had seen in me the same natural artistic ability I had long seen in myself but which I failed to make noticed by those around me; at the same time, I must admit to feeling confused at the request, having never cut anyone’s hair in my life (unless you count shaving my own head, or snipping off locks of my at-the-time toddler sister’s hair, after we got chewing gum stuck in it). Being a logistician, when in the field my Leatherman multi-tool is never far from reach. Scissors, on the other hand, were at least ten meters away (this is equivalent to about six seconds at my average walking speed, recorded on several occasions as 6 km/h). The mathematics of convenience (aka laziness) clearly dictate that the Leatherman was the correct choice to cut my colleague’s curls. Of the many options available to me, I chose to use the serrated saw blade, having as logic the basic idea that cutting a loaf of bread is far easier with a serrated bread knife than with a non-serrated meat knife. Whether hair is more similar in nature to bread or a roast was a question that only occurred to me later on. 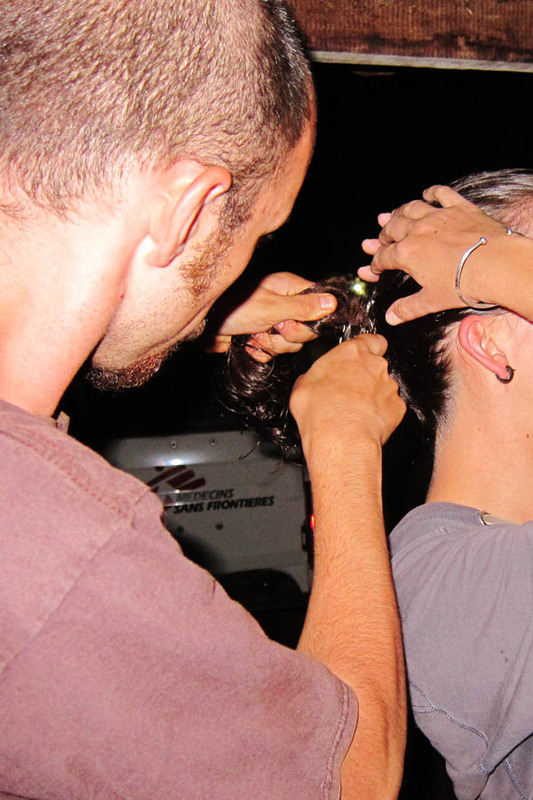 Instructions: For the simplest and fastest Leatherman haircut, get your client’s hair in a ponytail, and ask him or her to hold around the base of the ponytail. 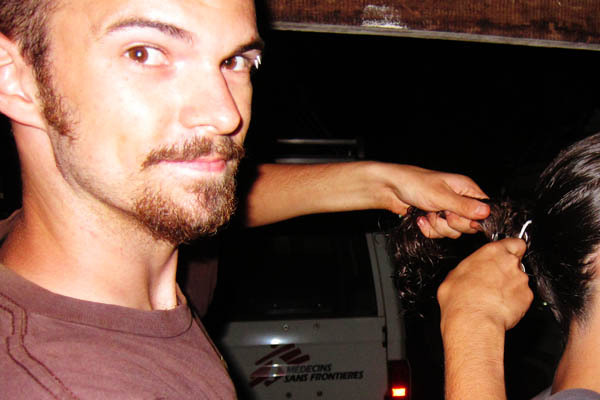 You grab hold of the other end of the ponytail of hair with your non-Leatherman hand. While maintaining the ponytail fairly taut by pulling it away from your client’s head, begin sawing back and forth at a quick pace, without applying any downward pressure; the saw will carry itself downward as it cuts through. When finished, dispose of the newly shed locks or pass them on to someone in need. 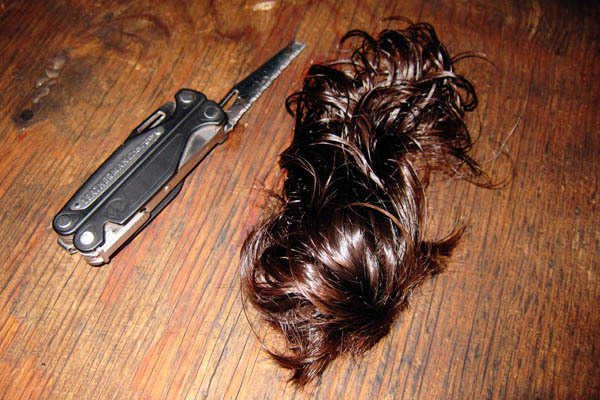 Not only did I manage, in less than ten seconds, to cut my colleague’s hair, but we were able to provide a hair piece for another colleague who, like me, no longer has a full head of his own hair. Stay tuned for the next Loopy Logistician’s Leatherman how-to: the Loopy Logistician’s Leatherman Martini! 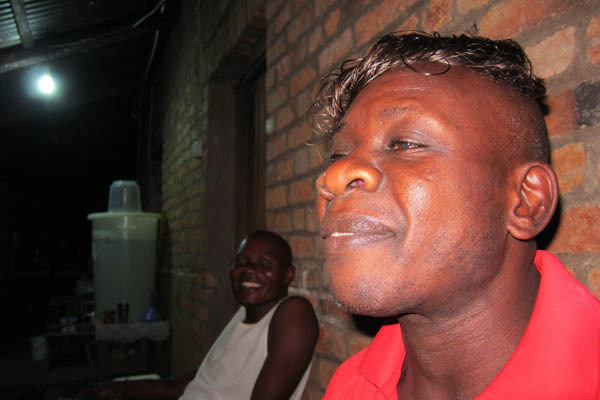 This entry was posted in Africa, Democratic Republic of Congo, Humour and tagged Hair, How-To, Leatherman.